January 31, 2010  Alice Eve Cohen thought she could never have a baby. Doctors told her a birth defect would prevent her from conceiving a child, much less carrying it to term. Then, when she was 44, Cohen rushed to the hospital, believing she had cancer. But, as she tells host Guy Raz, what everyone thought was a tumor turned out to be a baby. Alice Eve Cohen tells the story of her unexpected pregnancy in the book What I Thought I Knew. January 31, 2010  The Klencke Atlas is the world's largest book and it's soon to go on public display for the first time in 350 years. Host Liane Hansen speaks with the curator of Antiquarian Mapping at the British Library in London, Tom Harper, about the atlas and the Library's upcoming map exhibit. January 30, 2010  For almost every major world event — from the Apollo moon landing to Hurricane Katrina — there's a conspiracy theory to undermine the conventional view of the way things took place. Voodoo Histories, a new book by David Aaronovitch, takes aim at some of the most notorious. January 29, 2010  Author Curtis Sittenfeld's novel Prep drew heated criticism and acclaim for its similarities to J.D. Salinger's The Catcher in the Rye. In light of Salinger's death, Sittenfeld is realizing that despite the awkward comparisons, sometimes the best thing to do is accept the sentiment. January 29, 2010  It's easy to find a dictionary definition of "time." But ask a group of theoretical physicists and the answer isn't as clear. Sean Carroll of CalTech discusses the mysteries of time in his book, From Eternity to Here: The Quest for the Ultimate Theory of Time. January 29, 2010  The 2008 presidential election was the longest and most expensive in U.S. history. The campaign is now the subject of a book, Game Change, by two political reporters, John Heilemann and Mark Halperin. The book has been making headlines with some of its revelations, but critic John Powers wonders whether that's a good thing. January 29, 2010  As a young man, Jim Krawczyk's favorite writer was J.D. Salinger. And in the late 1960s, Krawczyk decided to take a road trip to meet his hero. But in Cornish, the small New Hampshire town where the reclusive author lived, nobody seemed to know Salinger. January 28, 2010  J.D. 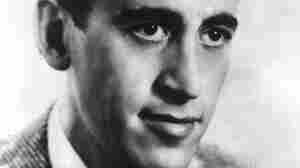 Salinger may have left the public arena after achieving literary fame, but his influence is palpable in all walks of life: From books to television, his legacy is alive. Even his years of an "almost perfect" public silence are an inspiration, says Rick Moody, author of The Ice Storm. January 28, 2010  All his life, Mickey Leigh lived in the shadow of his older, weirder and much more successful brother. 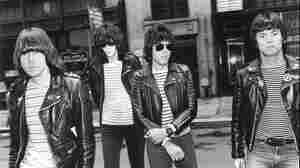 Leigh's new memoir, I Slept With Joey Ramone, portrays the rock star through the lens of a sibling rivalry. January 28, 2010  Professor, author and political activist Howard Zinn, whose book A People's History of the United States sold more than 1 million copies and celebrated the historical contributions of feminists and workers and people of color, died of a heart attack Wednesday. He was 87. January 28, 2010  The author of The Catcher in the Rye died of natural causes, his literary representative has said. Salinger was famously reclusive, and his fans hoped for decades that stores of unpublished fiction might be stashed in his New Hampshire home. His last published work was a short story that took up almost the whole New Yorker magazine in 1965. January 28, 2010  Bernard Cornwell is one of the kings of historical fiction — his Richard Sharpe novels, about a British soldier in the Napoleonic wars, and Grail Quest series have captivated audiences in the United Kingdom and United States. His new book, The Burning Land — the latest in his series The Saxon Tales — is currently on the bestseller list. NPR's Neal Conan talks with Cornwell about the ninth century, writing historical literature and the new PBS series based on his Sharpe novels. January 28, 2010  In Wednesday's State of the Union address, President Obama reaffirmed his commitment to fighting climate change. But journalist Jeff Goodell says that with the oil and coal lobbies working against him, it may not be so easy. January 28, 2010  Author Jonah Lehrer explores the science of how we make decisions and what we can do to make those decisions better. 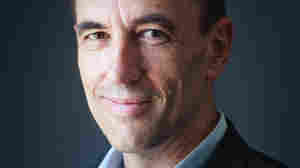 His book, How We Decide, debuts on the list at No. 10.